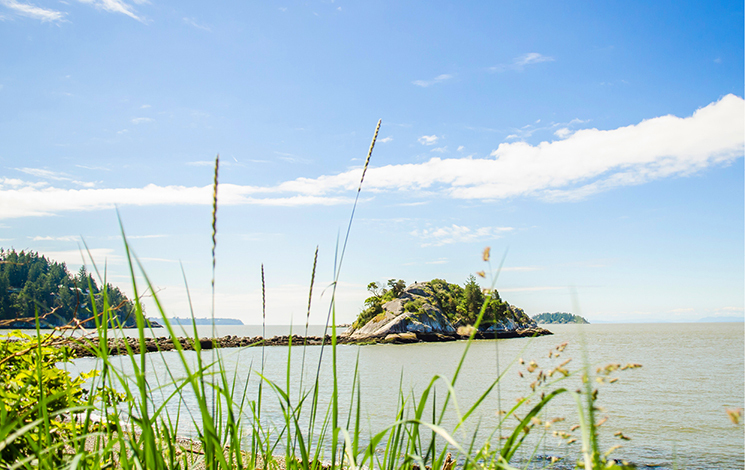 Whytecliff Park is situated just west of Horseshoe Bay. 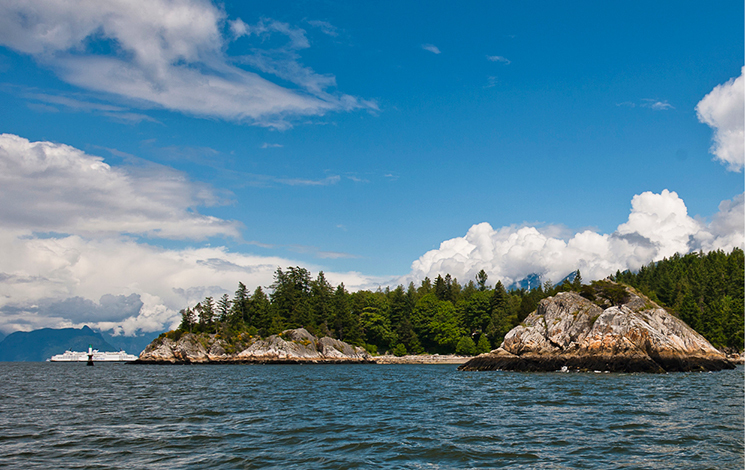 This beautiful corner of Howe Sound has a rugged coastline and spectacular views of colourful mountains and passing boats. The waters off the park are famous for their incredible diving. You’ll also find a playground, picnic spots, a swimming beach and tennis courts in the 15+ hectare park. This is a great spot for beginner and experienced divers. Expect to see rockfish, lingcod, crab, sculpin, anemones, starfish, harbour seal, and the occasional wolf eel and giant octopus in this designated Saltwater Marine Protected Area. Take advantage of the free public tennis courts, available on a first-come, first-serve basis. 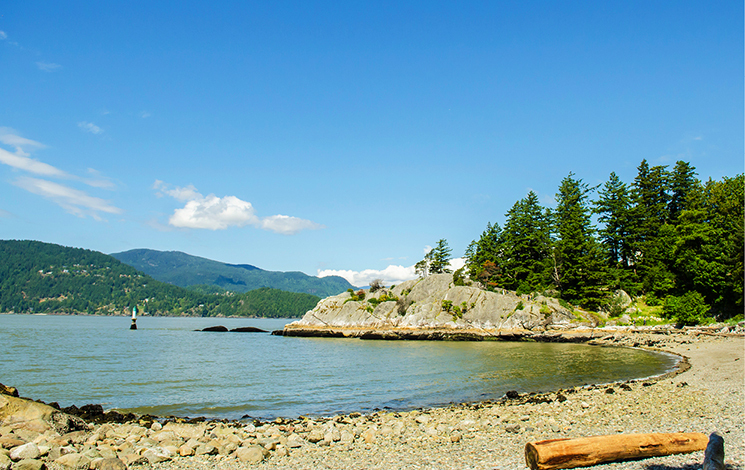 The protected bay at Whytecliff is a great spot to cool off during the hot summer days. Enjoy delicious burgers, smoked meat sandwiches, healthy sides, ice cream, and housemade snacks at the cafè in the park. There are a few short trails to satisfy walkers. The views of Howe Sound and the distant Tantalus Mountains should not be missed. Dogs are only allowed off-leash in the park in the trails on the east side of Marine Drive. They need to be leashed everywhere else in the park. Check out Dogs in Parks for more information, including off-leash parks in West Vancouver, licensing and more.